"Raised with the peace of God and the promise of excellence!" 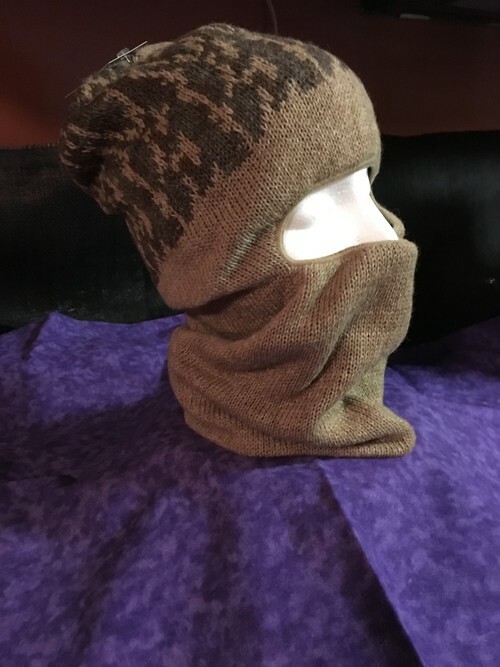 Outer camouflage shell is made out of 100% alpaca. Inside of hat is lined with a Micro-Fleece lining, making it very soft and warm. A great combination for the extreme outdoors.